Home New Releases DownTown Mystic: “Rock’n’Roll Romantic” – the album, founder Robert Allen always wanted to make! On DownTown Mystic’s latest album one can find many things, but at its core this is a rock and roll record. And it’s not just any rock record; it’s a Robert Allen record. 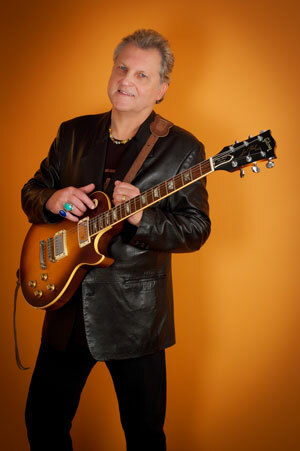 The idea behind the musical concept of “Rock‘n’Roll Romance”, says Allen, is – “More lust than love when it comes to rockers. The relationships are more intense because the people are generally crazier than average folks. The songs come in pairs. First a song where the relationship is on shaky ground, followed by a break-up song…” Guitars are wailing and rhythms are driving on the twelve track “Rock’n’Roll Romantic”. This is right where DownTown Mystic aka Robert Allen should be at this point in his career. It’s the sound of an unfettered rock artist channeling the passion, no punches pulled, true-believer idealism and more than a pinch of romantic nostalgia – all with an audacious wink of the eye. Ever the musical chameleon, Allen never rests on his laurels, and always does exactly what he wants. What he wants today apparently is to get back to basics – to the primordial human and rock n’ roller instincts. The result is a beautiful work of guitar nirvana that belongs right at the top of his catalog. Allen snarls out his lyrics in a defiant and sure strong way which aptly describes the lucidity of a man who has been treading the music scene for some decades now. DownTown Mystic begins the album on an upbeat acoustic note with “Dead End Space”, a song that discusses a relationship on ‘shaky ground’. On “And You Know” he drifts into melodic, mid-tempo ‘break-up song’. “Turn Around And Go” gets back to the very essence of the creation of his art whilst putting forward his views on walking the romantic tightrope. However it’s “Soul’d Out”, that yet again steals my heart, as it had done on my hearing it for the first time a while back. I won’t be as arrogant to say that it is the best ballad DownTown Mystic have ever done, but it surely ranks among their top 3. The crazy thing about this song is that while the lyrics are melancholically heartbreaking, the melody – during the bridge and chorus parts – soars to a limit that will have your heart exploding with elevating intensity. DownTown Mystic has created an album that is musically engaging, driving and confident, with jams that engage the ear and the heart. “Hard Enough”, perfectly encapsulates all those intrinsic qualities, as does “She Said She Said”, a tribute to The Beatles. The lyrics this time around are some of the best DownTown Mystic has ever written. While most address the hard lessons of romantic liaisons, I think there is a deep underlying theme that analyzes the strong correlation between the dignity of relationships and the rebel that lives inside each of us…and especially inside a savant rock shaman like Robert Allen! 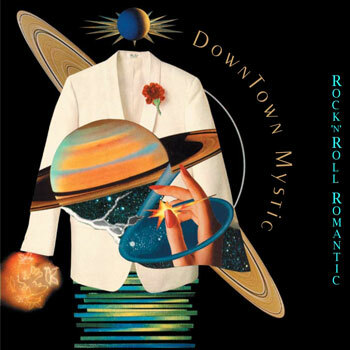 Distributed via Sony’s The Orchard, through Sha-La Music, Inc. an independent Publishing & Production company that includes a Record Label, Rock’n’Roll Romantic is DownTown Mystic’s 1st full length album since the self-titled DownTown Mystic in 2013. It contains 12 tracks that features the talents of 17 musicians, including the Hall of Fame rhythm section of The E Street Band—Max Weinberg & Garry Tallent, as well as Steve Holley & Paul Page from Ian Hunter’s Rant Band and PJ Farley & Steve Brown of Trixter. 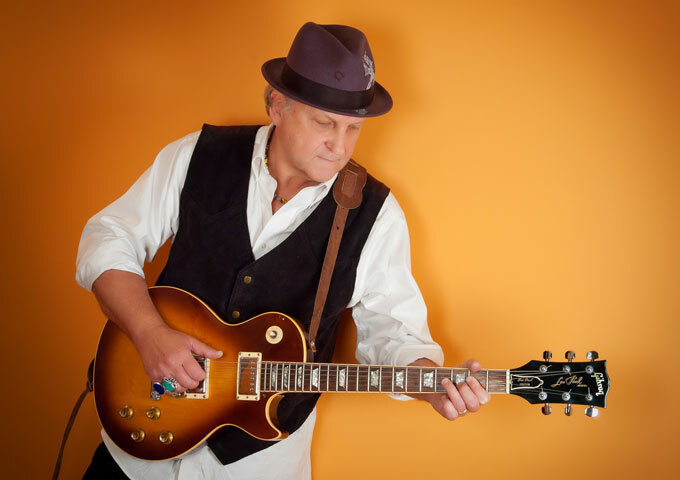 TJ Fox: “Live It Right” – a winning melody and refreshingly inspiring lyrics! Nice to know you like ‘Soul’d Out’ … many thanks for your kind words.